A hybrid bus running on diesel and liquid nitrogen has completed a series of trials that bring the vehicle closer to use on the road. The hybrid bus – the world’s first to be powered by liquid nitrogen – has been built by engineers at HORIBA MIRA as part of an Innovate UK consortium. Dubbed CE Power, the bus features a Dearman engine powered by liquid nitrogen, alongside a conventional diesel engine. The Innovate UK consortium was led by Dearman and included Air Products, Cenex, Coventry University, HORIBA MIRA, Manufacturing Technology Centre, Productiv Ltd, and TRL (Transport Research Laboratory). 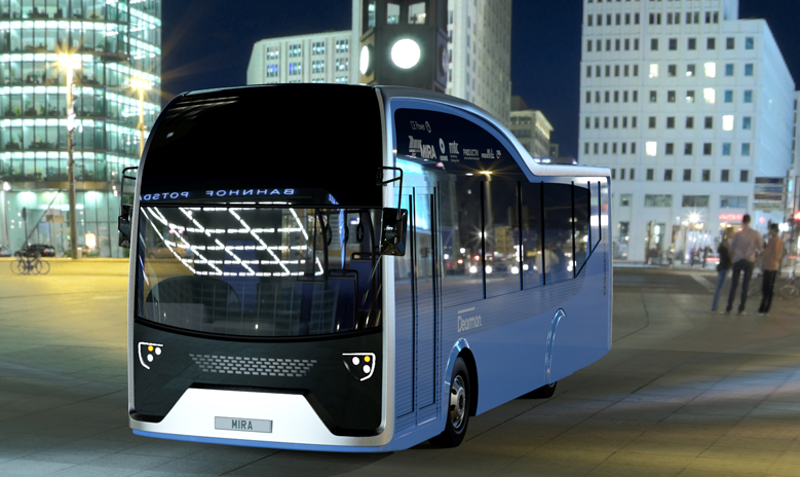 The bus uses a hybrid propulsion system to reduce emissions during acceleration after stopping. This portion of the bus’ drive cycle traditionally has a heavy impact on the diesel engine and can produce large amounts of nitrogen oxide and carbon dioxide emissions. The Dearman engine does not produce these emissions, enabling the bus to frequently stop, unload and pull away from a bus stop without expelling the same level of pollutants. Whilst driving at 20mph or below, the liquid nitrogen – stored in a low pressure insulated cylinder – is warmed up to the point of boiling, at which time it creates enough pressure to drive the multi-cylinder Dearman engine. The diesel engine takes over once the bus reaches 20mph. The bus trials were completed at HORIBA MIRA’s facilities in Nuneaton and included components and full system testing along with an engineered drive cycle to simulate a standard bus route with a variety of stops. According to Dearman, the benefits of using liquid nitrogen over an electric hybrid bus include a longer life, local production and easy refuelling.